By now I'm sure you are all sick of hearing me witter on about my stunning new amazing (add more adjectives here) Audient ASP8024HE mixing console. So I promise, for now at least this will be the last you hear about it. As I am sure I have mentioned I have been looking for a proper console for quite some time now and after creating a shortlist the Audient won me over. I placed the order back in November and the great day came when I would take delivery. Now as I'm sure you can imagine a desk like this does not simply arrive by UPS. It takes some time to configure and test a beast such as ASP8024. This is the story of the day. The night before the desks arrival I had been gigging with my band in Liverpool so I had an overnight drive home (about 4 and a half hours) to get home in time to take delivery. Graham the delivery driver made very good time from the Audient factory in Hampshire rocking up at 8:30am. The desk had been stripped down in the factory to allow the installation team to get the desk in via my slightly interesting studio access. 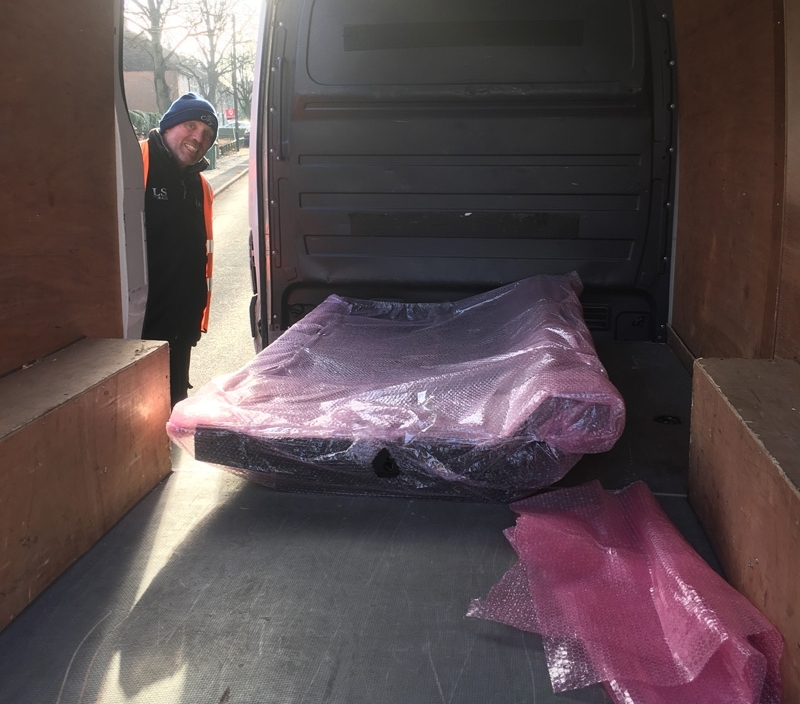 We started with the smaller boxes and Bryn Wildish of Audient was on hand to help with the unboxing of the frame and the smaller parts of the console as I rather frantically stripped out the old studio furniture and hardware that I had not quite finished doing. It's amazing how much cable goes into a studio especially when you have to be as multi-format as I do for gear testing and reviews. The next stage was to build the frame that the console sits on. We did this out on the deck and then moved it into position. I have to admit it has been a very long time since I have see the studio this tidy. Access to my studio in down an alley between two houses. 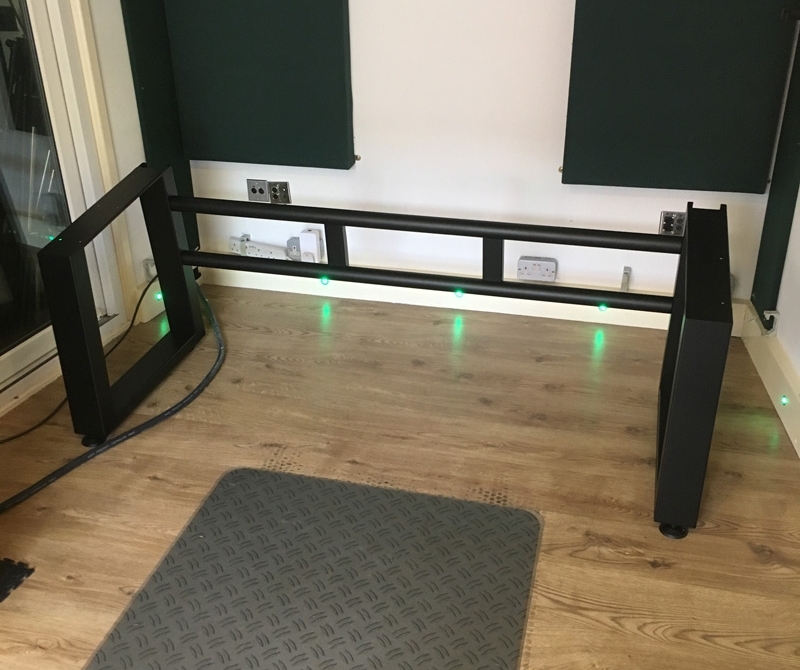 We were a little concerned that the corner at the end of the alley would be too tight for the desk to make it round but the with help of a dolly board and clear communication of the Audient's installation engineer Asif, the desk made it to the studio unharmed. 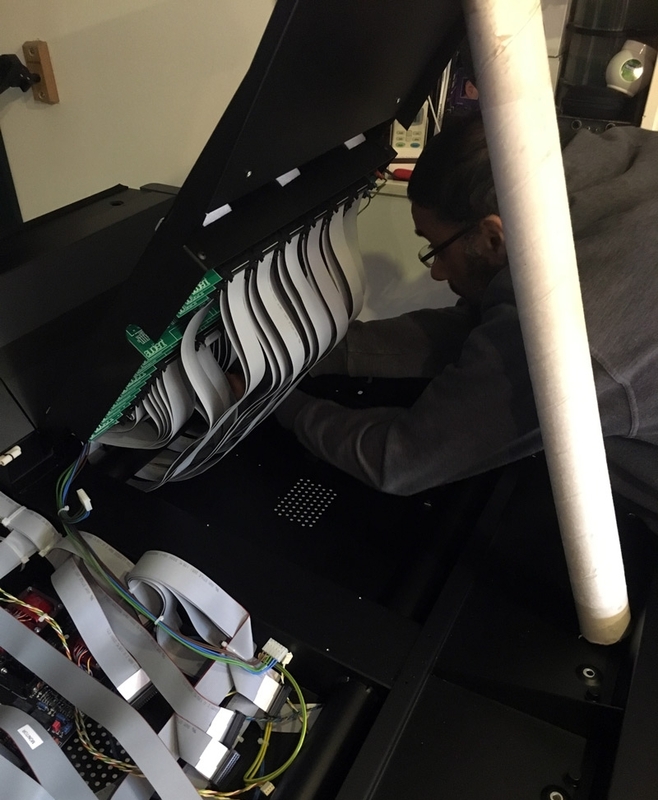 Once the board was safely secured on its frame Asif could start to put the console back together. making sure that all the ribbon cables are attached or the input channels, which come in buckets of 12. The master section and the built-in patch bay. The patch bay is an option on the desk but as I swap gear in and out of my studio all the time this is one of the list of available options that I decided to add. There are a number of bolts that securely fix the desk to its legs and the only way to attach these is from the underside. Makes for an interesting picture add your own captions here. You can also see the very technical solution of a white cardboard tube that Asif used to support the boards while he attached the ribbon cables to the input channel boards. Once all the internal wiring was secure it was time to add the trim and test the desk. Audient take this much care with every desk they sell and install. This is not just something special for Pro Tool Expert. However, it does feel good to know I have a British made product in the studio and have a team of audio specialists I can call on and not have to worry about an overseas phone call. The desk has been in just over two weeks now and I have already mixed one album on it and I have plenty more work booked for it in 2017. It's a stunning sounds desk that is easy to use and incredibly flexible with regard to workflow. I think I have come up with a good name for this new way of working. A digital workflow with an analog heart.